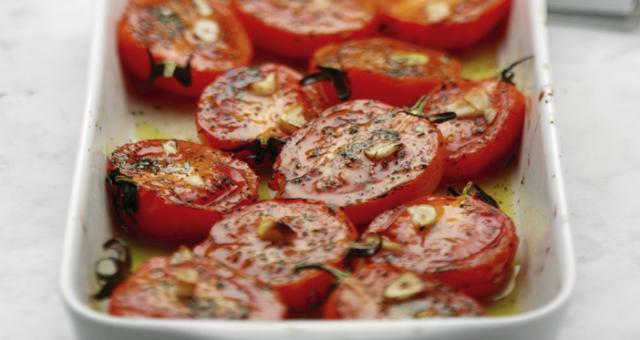 I had never really given any thought to roasting tomatoes. 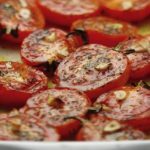 I roast root vegetables all the time – carrots, potatoes, parsnips, beets, sweet potatoes, etc., but It had never crossed my mind to roast tomatoes. Then I had a pizza at a local pizzeria and bar called Treno. I had a pizza with smoked mozzarella, pest and roasted tomatoes. It was so good I had to go home and try it. Be sure to check out my variation of their pizza and give it a try at home!